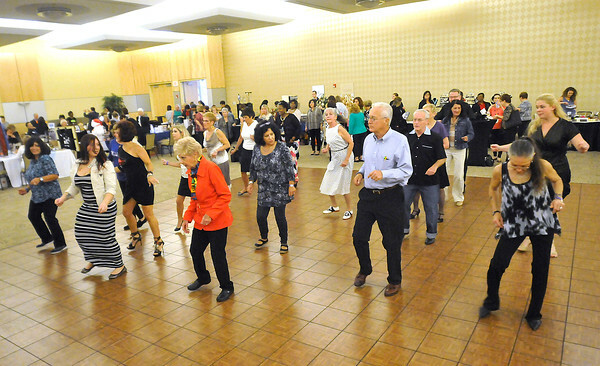 Niagara Falls - Area people enjoy dancing during the Memorial Medical Center Foundation's On the Table Tastings, Tablescapes and Toasts at the Conference Center Niagara Falls. Hundreds attended the event which featured international Hors d'Oeuvres stations. Boutique Vendors. Dance Exhibition by Ballroom & Beyond. Fashion advice. Hair and Makeup tips.